In a world in which people have already checked their email, logged into Facebook, and responded to a dozen text messages before they drink their first cup of coffee, what is the enduring allure of print? 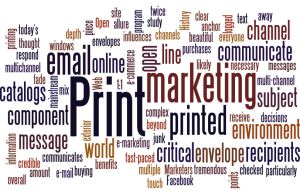 Let’s look at five reasons print marketing remains the anchor of any great multichannel marketing program. It doesn’t matter how gorgeous your JPGs are, a beautifully printed piece will blow away your screen graphics any time. Print has a richness, depth, and allure that mobile devices and laptops can’t match. 2. Print communicates beyond the subject line. When you communicate by email, recipients can’t see beyond the subject line unless they open the message. With clear envelopes, windows, and exterior envelope printing, you can communicate a tremendous amount of information in print before recipients even open the envelope. 3. Print plays well with others. Today’s complex marketing environment often requires multiple touch points. Not everyone will respond to your message through the same channel or at the same time. Print remains a critical channel in the overall mix. 4. Print influences buying decisions. Marketers once thought that, as e-commerce became mainstream, printed catalogs would fade away. History indicates otherwise. Surveys consistently find that consumers who receive printed catalogs are more likely (in one study, twice as likely) to make online purchases at the retailer’s Web site as those who do not. Open your e-mail. How much junk email do you receive? Unless it comes from a known brand, people are skeptical of claims made by email alone, and for good reason. Print still carries greater weight and authenticity than digital marketing. Combine that with personalization and you have a communication people feel they can trust. 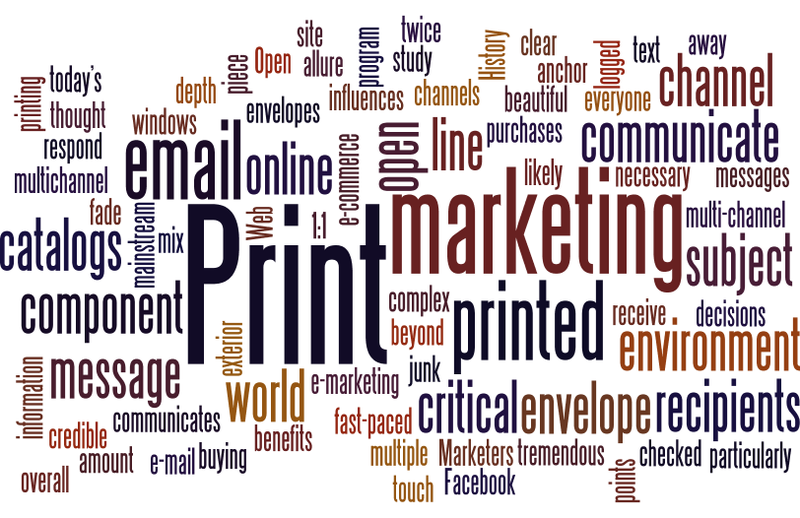 Print remains a critical component in today’s fast-paced, “what’s in it for me?” world. While e-marketing is a necessary component in our multi-channel marketing environment, print — particularly 1:1 print — brings benefits that online channels just can’t touch. I am third generation in a family business located in Mobile, Alabama. When I joined the company (Specialty Camera Store) I started a digital printing division that focused on printing on-demand for the restaurant industry. We have grown to represent several national restaurant chains and produce both digital and offset printing for their marketing, culinary, and training needs. In addition to our national restaurant printing we produce all types of printing (Flyers, Business Cards, Newsletters, promotional products, forms, Letterhead, and envelopes) for local businesses in Mobile, Alabama. Specialties: We partner to reduce the pain of purchasing and distributing printing for our customers. Are Recipients Getting the Message?